Marching music is in Mark Richardson's blood. 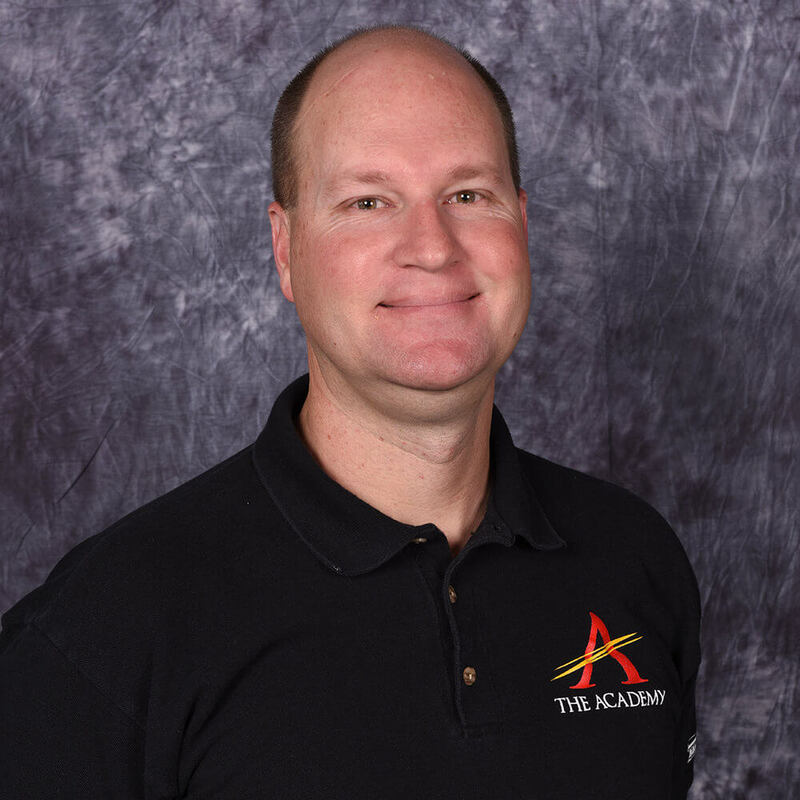 Richardson, the executive director of The Academy, is the son and grandson of two former band directors; his father taught at Corona del Sol High School in Tempe, Arizona, where Richardson also taught for two years. Now, after 15 years of developing the only drum corps in the state of Arizona into a World Class contender, Richardson's peers have certainly taken notice of what he's done for the world of marching music. Richardson, an Arizona State graduate who marched his last year of drum corps as a trumpet player with the Blue Devils, formed the Arizona Academy of the Performing Arts as a solution for the many Arizona residents who longed to have a corps close to home. Now referred to simply as The Academy, the corps has enjoyed a number of accolades since first fielding a drum corps back in 2001. 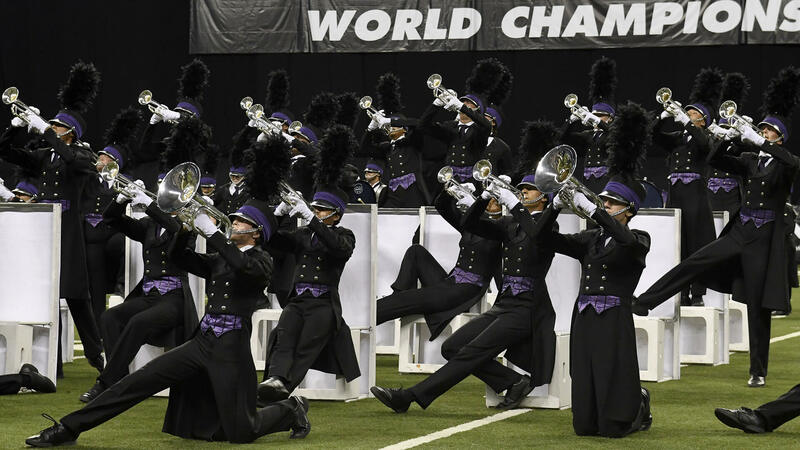 Since joining DCI's World Class division in 2007, the Tempe-based corps has achieved six top-15 placements, which includes the corps' first time advancing to the DCI World Championship Finals in 2016. Safe to say, Richardson's work in the marching arts has resonated far beyond the state of Arizona. “In essence, Mark founded this organization and has steered its ship all the way to today,” said Bill Robinson, president of the board of directors of the Academy. “He's an impressive man. What I like most about him is how invested he is in the kids. He's always put the health and welfare of the kids first. His favorite line to them is, ‘The effort is the prize.'" Although Robinson was able to present the award to Richardson, it was board vice president Dr. Robert Kuske who got the ball rolling when he heard CBS 5 was in search of candidates for its award. The presentation of the award, which took place during an Academy rehearsal at Apache Junction High School, admittedly caught Richardson off guard. An elaborate ruse kept Richardson in the dark and thinking the award was actually going to be offered to the corps' tour coordinator, Dennis Smith, throughout the day of the presentation, which ultimately set up a perfect surprise. “They ended up talking about me instead,” he added with a laugh. This season, the focus for Richardson and his corps is obviously on the upcoming 45th anniversary DCI Summer Tour – which will open for The Academy on June 23 in Clovis, California. “I think the audience can look forward to another very entertaining production from us” Richardson said. “Similar to the last couple years, we're trying to build a setting on the field for the storytelling that we're making. I wouldn't say we're necessarily telling a specific story, but you can certainly follow the ideas that we're portraying." According to Richardson, this spring training season has been one of the most successful he's experienced in his decade-and-a-half with the corps. “It's been pretty extraordinary, actually,” he said. “We're ahead of our production schedule by about a day ... at this point we've got about five minutes of the show on the field, so that's a little less than half of where we're at." At the end of the day, though, what matters most to Richardson is the unforgettable experiences he's able to share with each and every one of his corps' members, and the passion for music he's able to instill in them that was given to him by those who came before him. Then again, it's called the “Pay It Forward Award” for a reason.